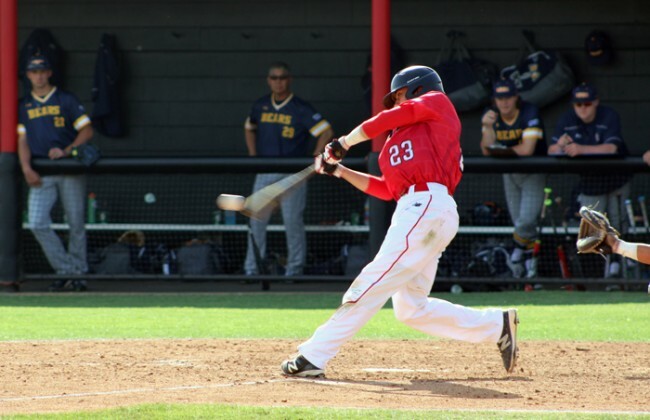 CSUN baseball extended its win streak to seven games after defeating William & Mary Tribe on Saturday afternoon. 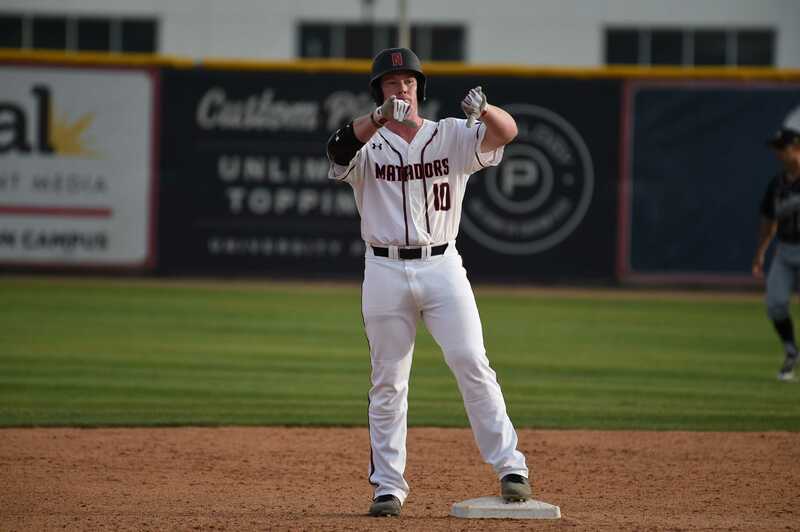 The Matador offense picked up where it left off from Thursday’s 11-3 victory over the Tribe, where CSUN had four extra base hits including one home run. On Saturday, senior Rayne Raven made his fourth start of the season, averaging a strikeout per inning prior to the weekend matchup. 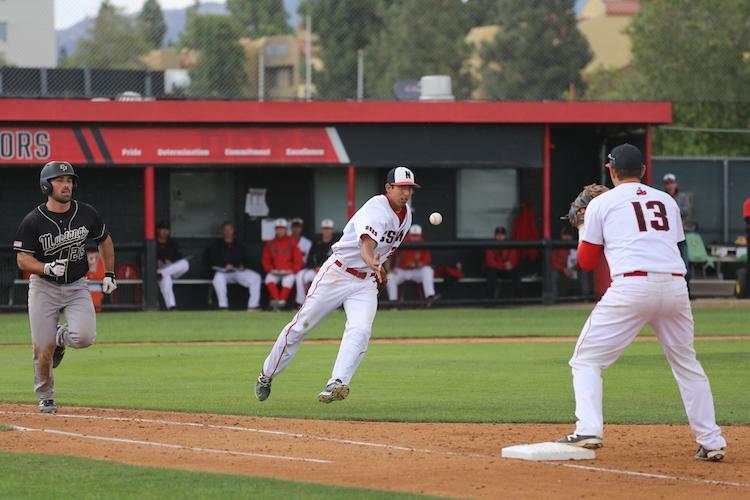 CSUN’s second baseman Fred Smith extended his hitting streak to 15 games with a single to to right field in the bottom of the first. The Matadors fed off his leadoff knock by loading the bases. 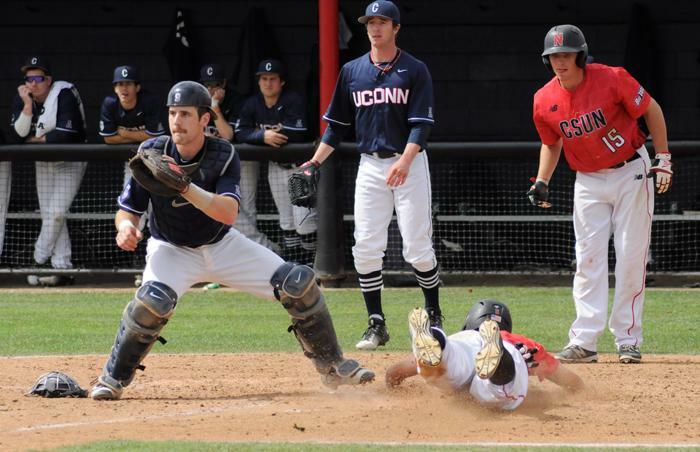 Catcher Albee Weiss drove a 1-2 pitch down the third baseline, cashing in two RBIs. Centerfielder Justin Toerner followed with an RBI double. CSUN batted around the lineup and finished the first frame with six runs scored for a commanding early lead. Toerner was the focal point of the CSUN offense, finishing a perfect three-for-three with three doubles, two RBIs and three runs scored. William & Mary’s starting pitcher Daniel Powers lasted one complete inning before being replaced by Jon Yoest in the second. 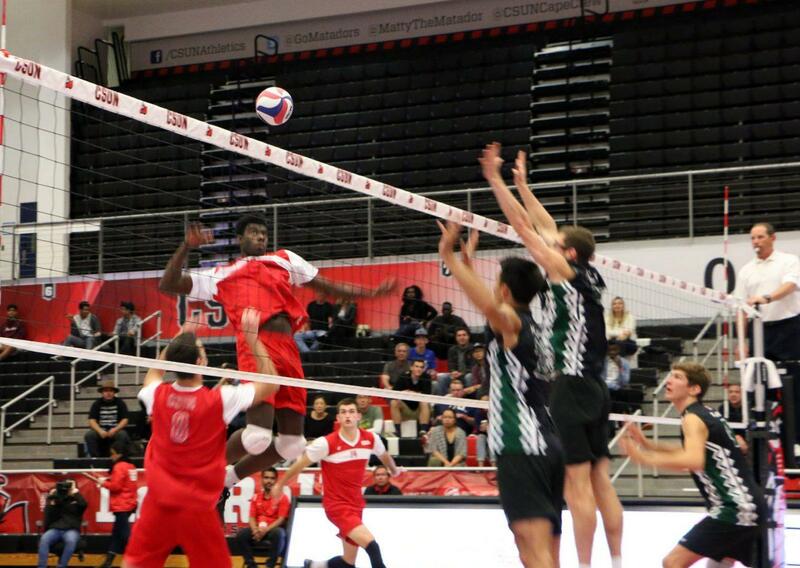 In the third, CSUN continued their offensive prowess. Freshman Michael Russo singled through the second base hole to score Toerner. Two batters later, right fielder Elias Orona flew out to center for an RBI sacrifice fly to score third baseman Nolan Bumstead, and give the Dors an 8-1 lead through three innings. In the top of the fourth, CSUN broke down defensively. William Mary was able to score two runs on three consecutive errors. Sophomore Ryan Hall cleared the bases with a three-run RBI double to left center, cutting the Matador lead 8-6. Junior designated hitter Ryder Miconi brought the Tribe within one run after a RBI triple before finishing the top of the fourth inning. William & Mary was able to get to the Matador bullpen early after Raven walked the leadoff batter. CSUN head coach Greg Moore made a call to the bullpen for sophomore reliever Andrew Weston. Raven finished with one earned run, five hits and two strikeouts through four and a third innings pitched. Moore said CSUN’s bullpen was well rested from not playing Friday. 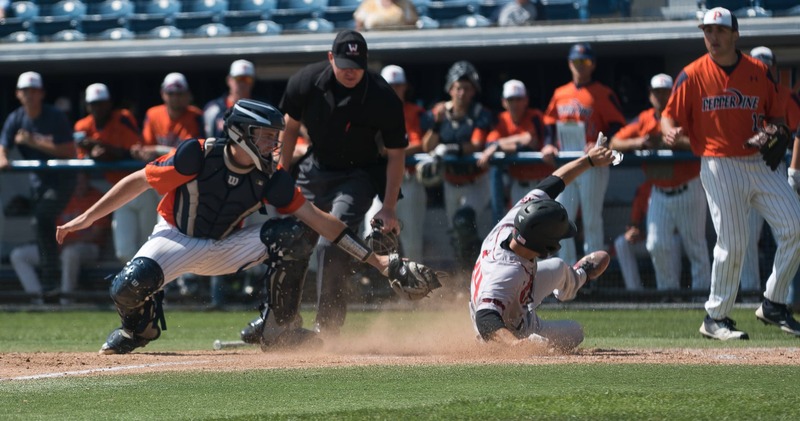 The decision paid off for CSUN, as Weston, who later was relieved by Samuel Myers and Conner O’Neil, gave up a combined one run for the remainder of the game. 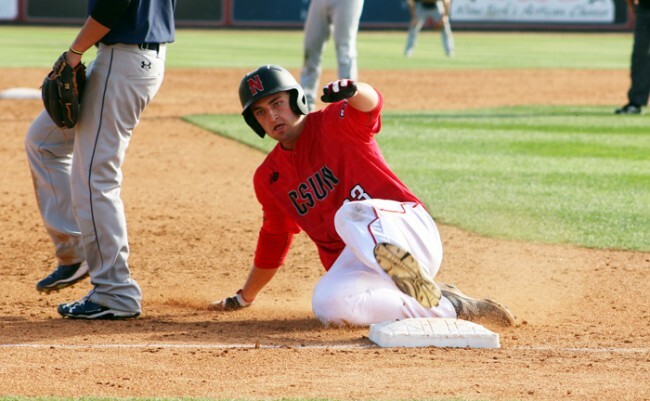 CSUN extended the lead in the bottom of the seventh after scoring two more runs. William & Mary’s Joseph Gaouette, gave up a drag bunt single to Smith, his second of the day, before allowing a run to score on a sacrifice fly. Gaouette then walked Toerner with the bases loaded which scored Smith. Smith finished the day four-for-six with two runs scored. His hitting streak is now 10 away from the school record of 25 games. 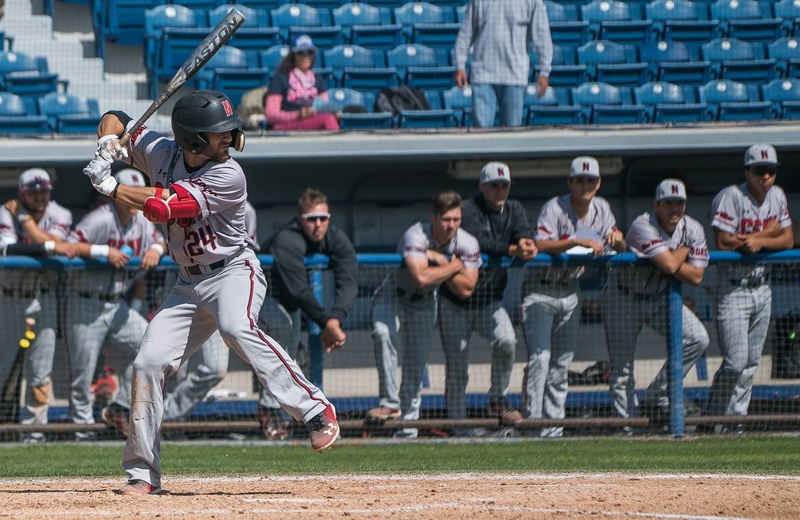 The Matadors will play a doubleheader Sunday against University of Connecticut at home before starting a four game series next weekend against Houston Baptist.